Happy Friyay!!! My first week back to work after a months vacation... I was happy to come back but I must say the "getting back into it" was difficult! 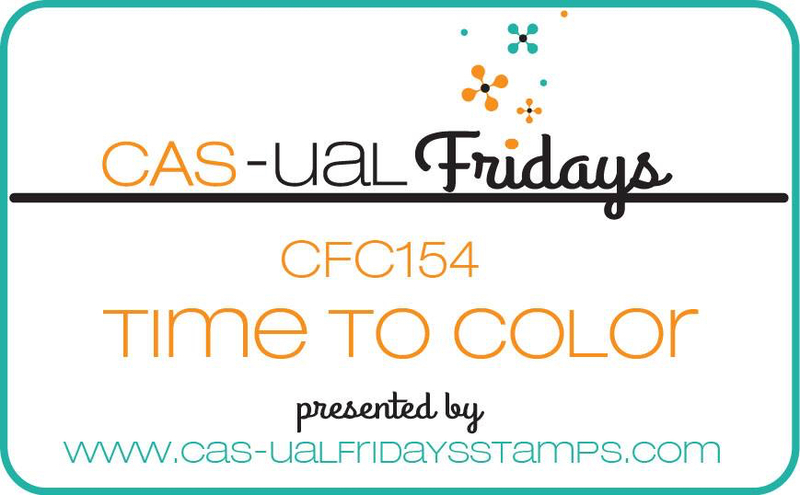 So I am happy for a new CAS-ual Fridays Challenge - CFC155 and the theme is Black, White +1(color of your choice). I have also found that getting my card mojo back has been difficult after being away, lol! I started by trimming a white panel (Neena 80lbs) and using Abandoned Coral Distress Ink all over. 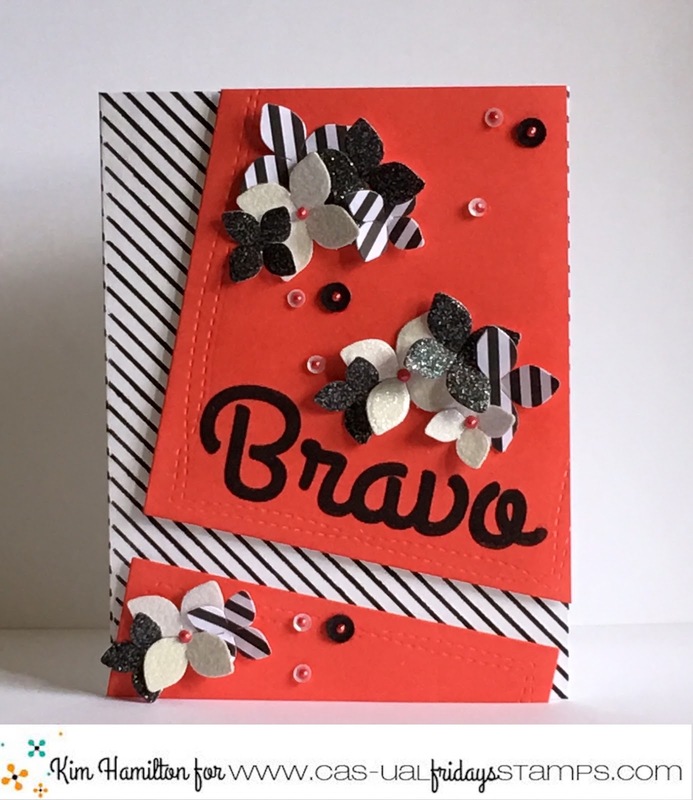 I then cut the panel at ban angle and stamped the Bravo sentiment in Versafine Onyx Black Ink. I die cut my flowers (4 petal Fri-Dies) in a variety of white, black glitter paper and a black and white stripe. I then stamped my striped background put everything together and added my petals and some sequins! I have been on vacation for the last couple of weeks and I have been taking a blog break as well! Not planned but lots of travel and seeing family and friends! 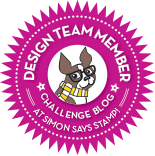 Here is a quick card that I made for the current Simon Says Stamp Flickr Challenge - Embossing! CFC154 - Time to Color! It's time to color over at the CAS-ual Fridays Challenge!!! 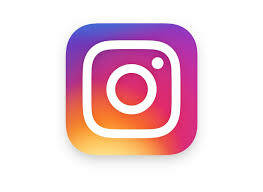 I love to color, my favourite mediums are Copics, Zig Clean Color Real Brush Pens and Prismacolor Pencils! 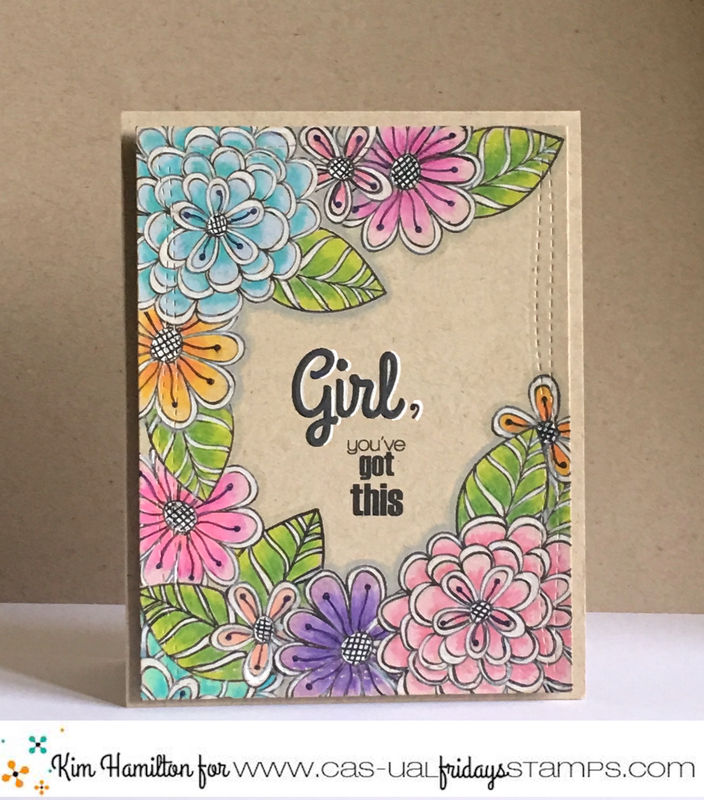 I used my Prismacolor on Kraft for this one and I love the way it turned out! 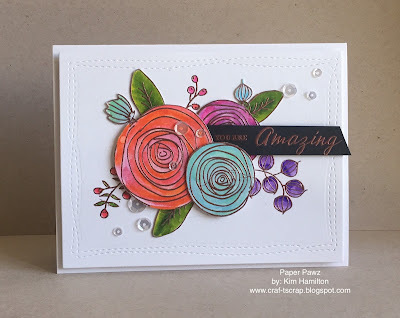 I adore the Pretty Posies stamp set! 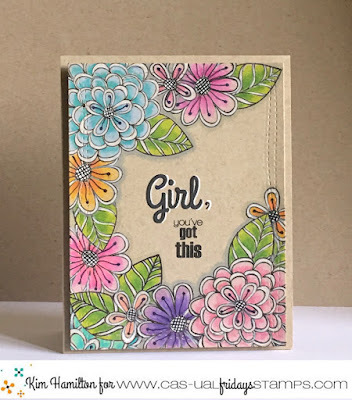 I thought using the flowers and outlining them in white would really feature the beautiful design of the flowers and leaves. 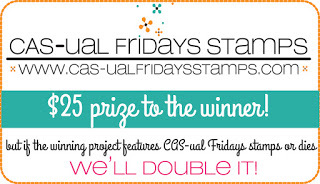 The sentiment is from Calling All Sistahs, this, I must say, is one of the reasons I love CAS-ual Fridays stamps. There is an underlining "support your ladies" theme for all of Michelle's sets of which I am a big fan. Most of the cards I make for my best girlfriends have CAS-ual Friday's sentiments. Let's face it we all need encouragement in one way or another at certain points in our lives. I stamped the sentiment in Versafine Onyx Black ink and outlined it freehand in white pencil to emphasize it. 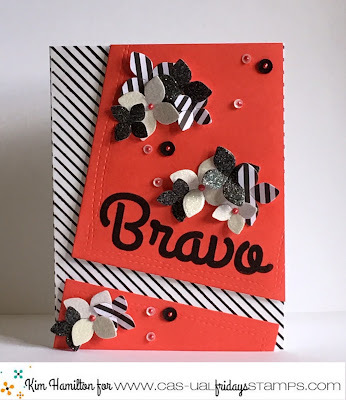 This card will go in the mail to a friend who lives far away but is facing a difficult decision. I have been away on vacation over the last few weeks. I have had a wonderful time with family, friends and some fun travel. Always nice to re-charge the batteries before the start of another year of intense work! So, I took a little bit of a blog break. I was so excited to pick-up this fantastic Dog Crazy set by Tim Holtz and start playing! I am in-love with these "Crazy" sets by Tim Holtz. 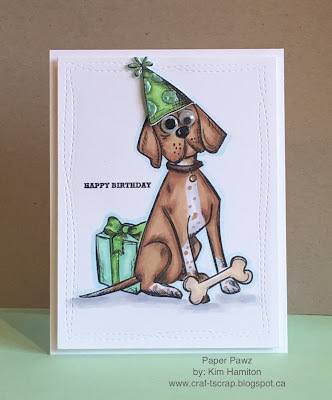 This is a birthday card for my best guy friend and it's his dog Loki :) I paired Loki with the Crazy Accessories also by Tim Holtz, everything is coloured with Copics. The sentiment is from a Simon Says Stamp set, I wanted a small sentiment so the focus could all be on the dog! !